Iconic, classic, effortless, and of course sophisticated. 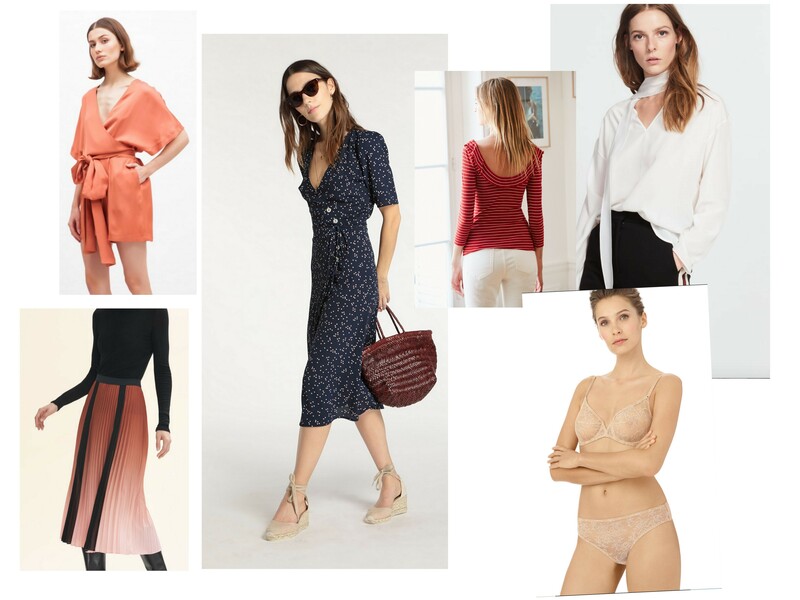 Add a drop of signature intrigue and unabashed femininity and you have described the nine must-visit French fashion brands to visit online or find in stores. Of course I could mention the classic brands: Yves Saint Laurent, Isabel Marant, Chanel, Dior, and the list goes on, but how do we achieve our essential quality style while remaining within our budget and not having to purchase on sale? By visiting these sites and putting your name on their mailing list in order to have the best selection when new collections arrive. I’ve done some shopping for you, but be sure to take a look at the entire site and see what they offer in entirety. Enjoy finding your French mystique style! Offering sophisticated essentials at mid-range prices. 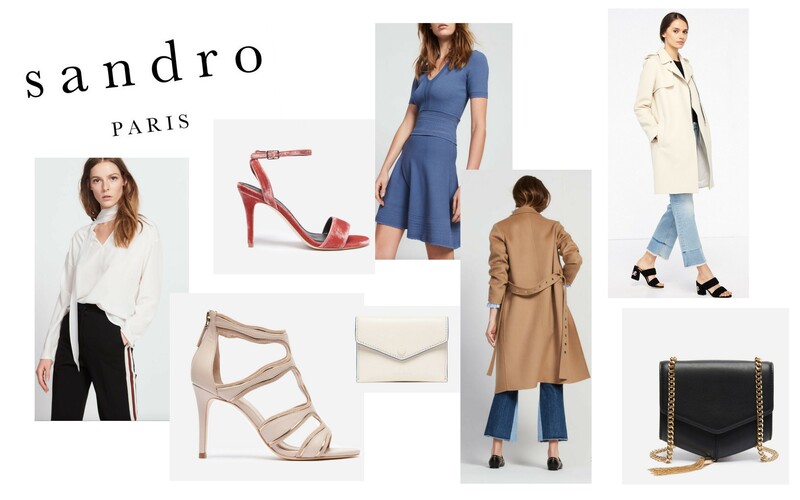 You will find neutral colors and classic cuts with a touch of modern flair. Case in point: Note the pink velvet sandal. Maje is young and coquetteish and feminine. However, there is a modesty about the lengths of skirts (midi) and touch of retro aesthetics. Summer leisure. 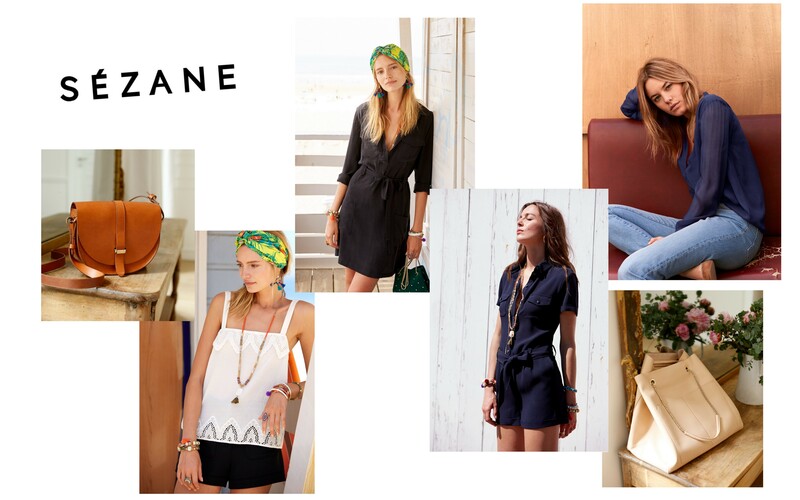 Sézane is completely online, offering original designs for the everyday, casual living you love. Many items are sold out, so you will want to stay on their mailing list to be the first to visit when new designs arrive. 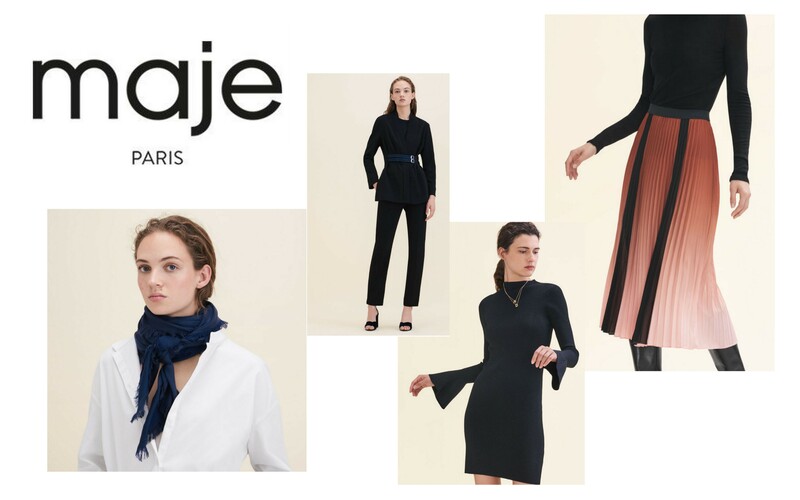 Maje, Sandro and Claudie Pierlot are cut from the same cloth, and offer similar price points, but each have their own slant on French style. A sophisticated city chic aesthetic, and a multitude of black with a few beautiful pops of color. 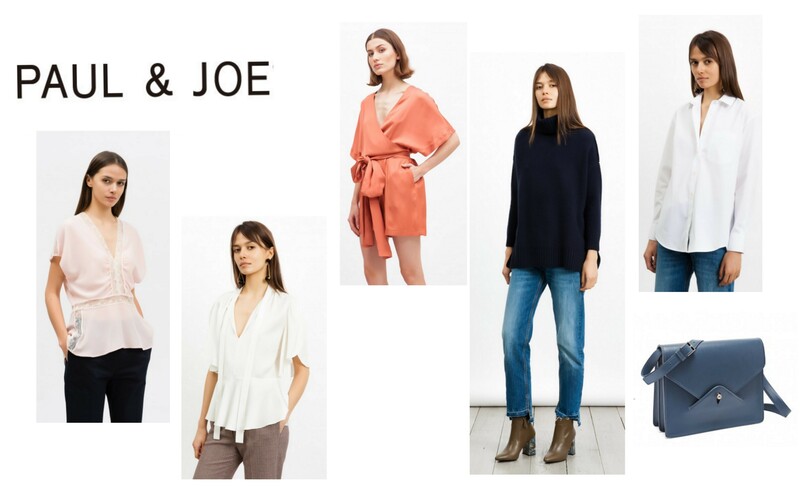 Named after the designer’s two sons, Sophie began a fashion label to step away from the monotonous black and minimalism and brings men and women vibrant, young styles that take a new approach to the classic use of neutrals. A mid-price range brand, you will see the designs during fashion week, and it certainly is a label for bookmarking and returning to season after season. A small boutique located in Paris’s 12ème arrondissement, be sure to pop in if you are visiting the city. But in even better news, you can purchase her clothing online as well. 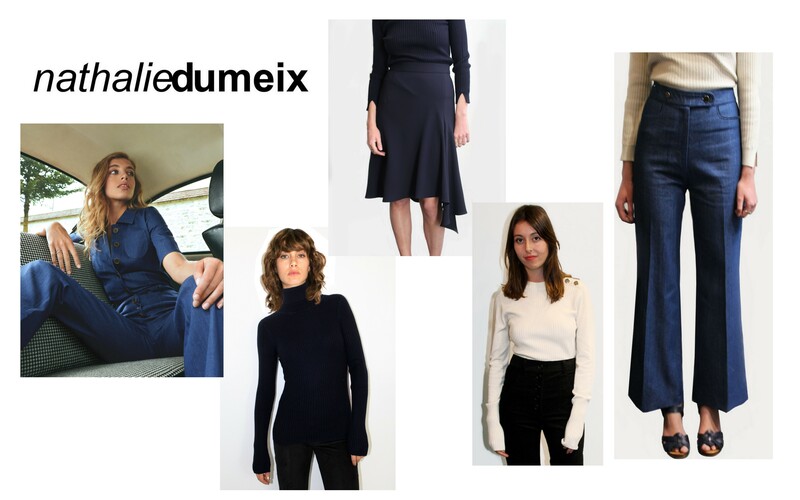 Described as quintessentially Parisian with high-waisted, neutral colors (navy, ecru, earth tones and denim), even Jeanne Damas (who I will introduce below) wears many of these styles. 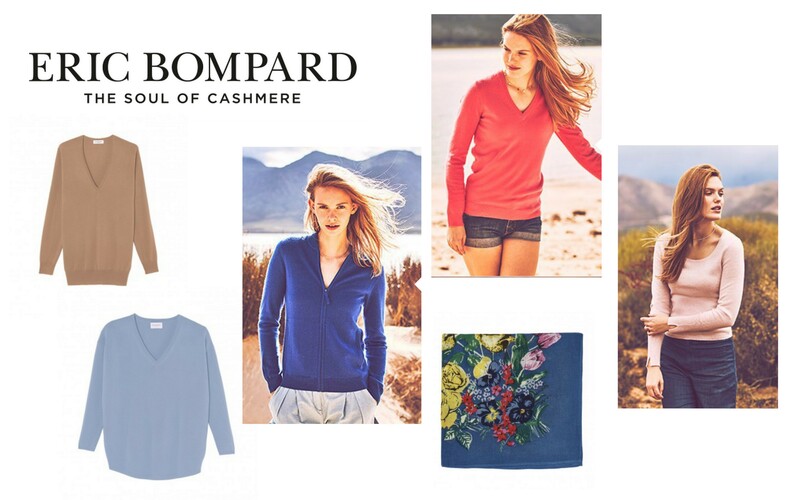 Having talked about Eric Bompard as my go-to for cashmere, I cannot neglect to include this online and brick & mortar (when you are in Paris stop in – along the Avenue des Champs-Élysées & in the Marais district). Quality cashmere items including scarves and accessories, their color selection is nearly limitless and their cuts classic along with unique prints and designs each season. As someone who has broad shoulders, I always order a size (sometimes two) larger and am always pleased with how it fits. No doubt you’ve seen the woman behind the Rouje brand on Instagram, in a few of my Style Inspiration posts and at the top of Street Style fashion in Paris. Jeanne Damas‘s first collection epitomizes what fans appreciate about her feminine sophisticated French style. Subtle prints, flattering cuts and sensual fabrics. Many (and I do many most) of the designs are sold out; however, as I did, you can put your name on the mailing list to be notified when they are restocked (they are going to restock most of the items which have sold out). TSLL 2017 French Week continues through August 12th. Amusez-vous bien! One of my favorites is Anne Fontaine, who started with white shirts but who has branched out. I have many Anne Fontaine shirts, which have held up for years (both in quality and classic style). Before you had to visit one of the shops in France, but now there’s international delivery. Great post, Shannon! I can’t wait to check out these links. Merci beaucoup! Lovely selection Shanon! I am already eying some items for the fall. Last year I discovered Eric Bompard via one of your posts and I have been smitten ever since. NOw I make a point of purchasing one item during their sales in January & July. Such fantastic products! They make me happy every day I wear them. Great idea – smart shopping. Their items are top quality, and to wait for the sale is a way to save on an investment. Thank you for sharing your experience and approach. I look forward to your posts/eNewsletters every Friday but this week,s is above and beyond. I look forward to leisurely exploring the online shops and Paris travel options. Thank you Shannon for the wonderful new material this week and for allowing me to feed my obsession with all things French!! Thank you for your continued interest and time. I am delighted you are enjoying this week’s content. 🙂 Have a lovely weekend.